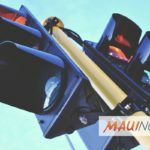 Maui Now : Ask The Mayor: Why Does Wailuku Have No Residential Recycling? Q: I would like to know why Wailuku has no residential recycling bins like Kīhei does? A: The curbside recycling program, 3 Can Plan, was implemented in two pilot areas in Kīhei back in 2012 and continues indefinitely due to high demand from residents in the area. This program did not expand islandwide after its first phase, but could if there was significant interest. Keep in mind, though, participating homes pay an extra fee per month on top of their refuse collection bill in order to continue under the program. As described in its name, residents participating in the program receive three carts: one for rubbish gathered every week, a green cart for greenwaste gathered every other week and a blue cart for mixed recyclables also gathered every other week. For now, you can drop off plastic bottles #1 and #2, cardboard, newspaper, aluminum cans, bi-metal cans; and glass at the nearest county residential recycling drop box center. The closest one to Wailuku is located on the University of Hawaiʻi Maui College campus off of Wahinepio Avenue at Cameron Way. For more information on recycling drop boxes, visit https://www.mauicounty.gov/744/Residential-Recycling-Guidelines. 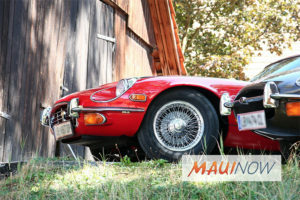 For more information on the 3 Can Plan, visit https://www.mauicounty.gov/1869/Curbside-Collection—The-3-Can-Plan. For any questions about recycling, call the County of Maui Recycling Hotline at 270-7880, email recycle.maui@mauicounty.gov or visit www.mauicounty.gov/recycle. For account billing questions, call 270-7720 and for missed pick-ups or cart replacements, call 270-7452. 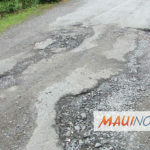 Ask the Mayor: Are There Plans to Resurface the Old Airport Road? 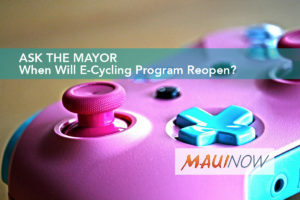 Ask the Mayor: When Will E-Cycling Program Reopen? Ask the Mayor: Has Motor Oil Recycling Program Restarted?